The “Our Life and Energy” Newspaper Contest, supported by the Ministry of Economy, Trade and Industry (METI) Agency for Natural Resources and Energy, has announced winners for the FY2018 contest. 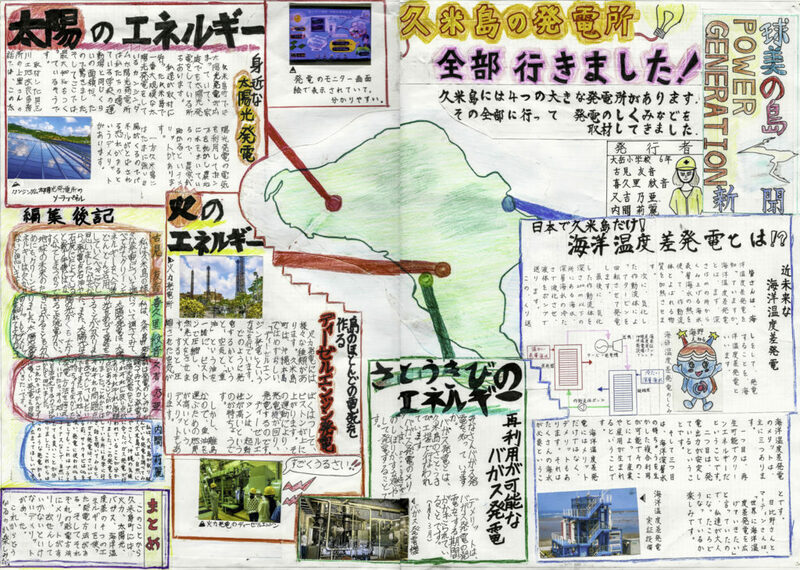 This year, Students from Kumejima Town’s Otake Elementary school submitted an entry after viewing Kumejima’s power generation facilities including traditional diesel, solar, bagasse, and Ocean Thermal Energy Conversion. We are pleased to congratulate the students on achieving the “Japan Energy and Environment Education Society Special Award,” one of the top awards. Out of the 446 submissions, only 34 were selected for awards. The Otake Student’s contribution is one of two awardees from Okinawa Prefecture.